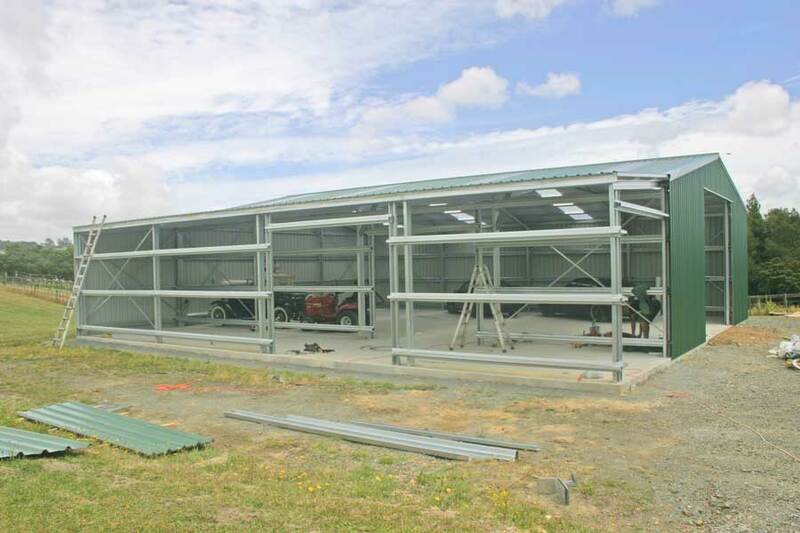 Kitset Sheds Ltd pride ourselves for using premium quality components – the cladding and framing material in our kits are produced by the best: NZ Steel and Steel & Tube New Zealand. S & T started roll forming roofing products decades ago and their products have been evolving ever since. 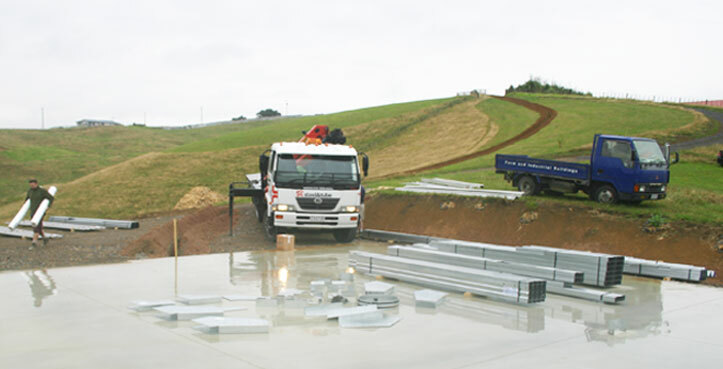 They produce the strongest purlin material and the best cladding and rib designs in New Zealand. The brackets we use are grade G450 with heavy Z450 galvanised coating they are laser cut and CNC folded to produce perfectly identical components. 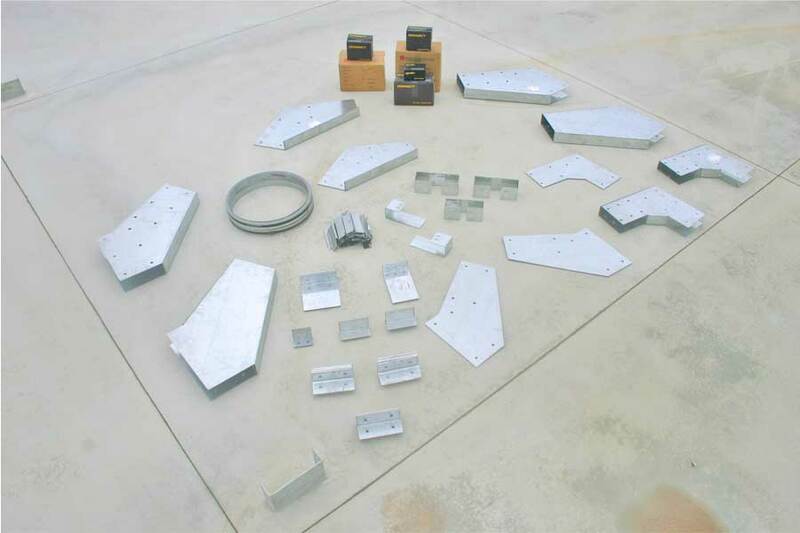 The bolts and screws are supplied by Hylton Parker, leaders in fixing products. We use their tek screws for two reasons: every screw is sharp and the painted screws have an extremely tough, high quality paint coating. Alternative suppliers cheaper screws sustain paint damage when they are installed and begin to deteriorate from day one. 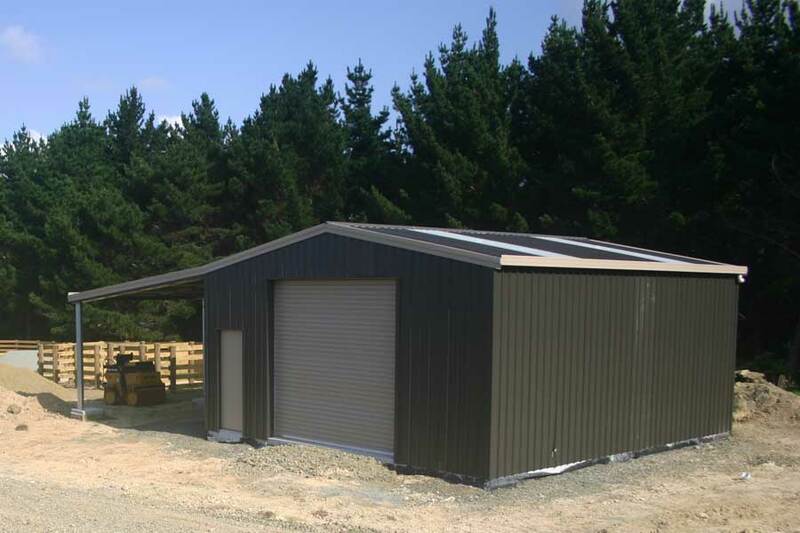 Roller doors are built tough – Titan Roller are one of NZ best roller door manufacturers: every door has grease free running strips, secure locking system and have a bottom edge rubber seal. PA Doors are also from NZs top manufacturer of personal doors. They have timber and high density foam core with aluminum edgeing a solid door with proven heavy hinges and quality lock sets. Aluminum joinery is high quality and is always ordered to sizes that correspond to the cladding ribs. Flashing’s and barges are designed for look and strength they are folded with crush folds making them very straight and well made.